Let’s celebrate together the abundance of late summer harvest with a special long table dinner. In collaboration with Vancouver Farmers Market’s Tomato Fest, this dinner will celebrate the superstar of the summer harvest: the tomato. Dress code: red! 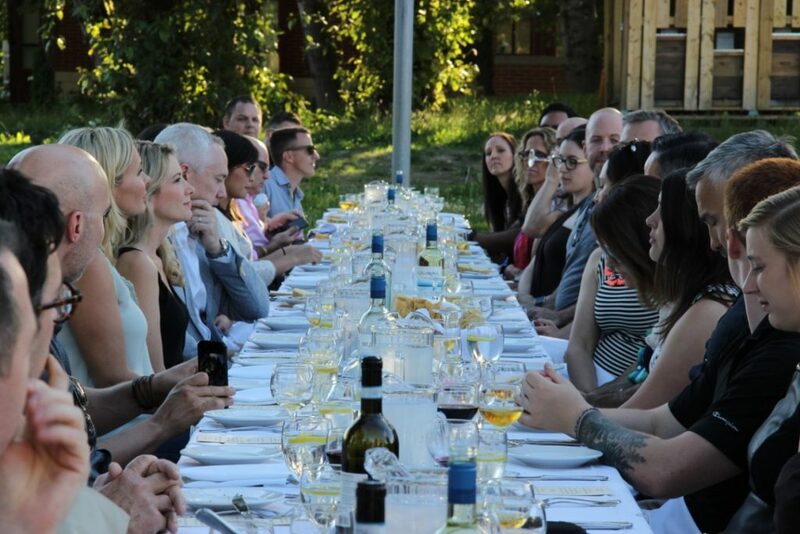 Long table dinner guests will also have a chance to be among the first to taste top varieties of Italian Corno di Toro (bull’s horn) peppers being grown at UBC Farm. The peppers are part of a North America wide research quest to find and refine the best Italian-style roasting peppers. Also known as Shepherd peppers, these sweet, elongated peppers are the go-to for roasting and frying, but of the many varieties available, which are truly the best? You can be the judge while enjoying fresh and roasted samples, including red and yellow varieties. Will you fall in love with ‘Bridge to Paris’ or prefer the west coast bred ‘Karma’? Your preferences will inform a lively discussion and ongoing pepper research. The tasting will be presented by FarmFolk CityFolk, the Bauta Family Initiative on Canadian Seed Security and the UBC Centre for Sustainable Food Systems.